Rolls Neo curtain pole range comes in two diameters. The Rolls Neo 28mm curtain pole is ideal for eyelet curtain poles and Rolls Neo 35mm curtain pole range is perfect for heavy curtains. Our Rolls Neo curtain pole range comes in two diameters, the 28mm curtain pole is ideal for an eyelet curtain pole and Rolls Neo 35mm curtain pole is perfect for heavy curtains. Neo comes in a huge range of sizes up to 600cm which makes an extra long curtain pole for wide windows or doors possible. The Rolls Neo curtain pole range is a fantastic collection using a combination of metal, glass and oak finials on a metal curtain pole or oak curtain pole. Pole sets can be purchased with rings for use with curtains with heading tape, or without rings for eyelet or tab top curtains. 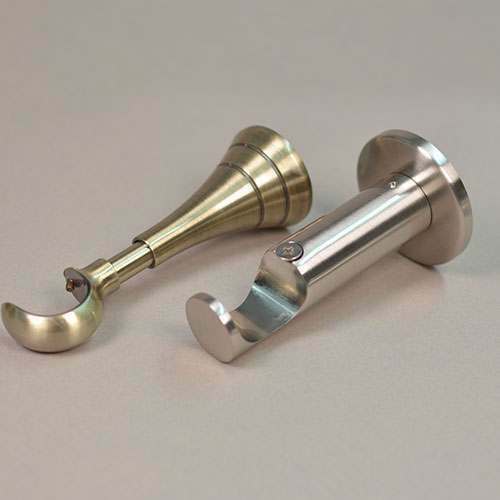 Neo curtain pole accessories like curtain rings, curtain pole brackets and curtain holdbacks are also available separately. Neo Original - Well proportioned ball finial, stud finial, bullet finial and trumpet finial. Neo Style - Luxury ball profile finials; Crackled glass ball finial, Mosaic ball finial, Pumpkin ball finials andJewelled ball finials. 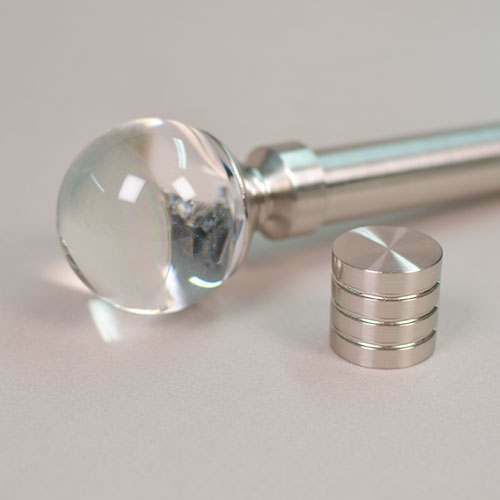 Neo Premium - A mixture of stylish glass lead crystal ball finials and metal cylinder finials. The versatile curtain pole brackets that are available in the Rolls Neo range offer a solution for most window treatments. The adjustable cup bracket is our choice for eyelet curtain poles as it can be altered to suit your curtain depth. The cylinder bracket adds a simple modern look to your room and the ceiling bracket can hold either eyelet curtains or pleated curtains with rings. The ceiling bracket can also be mounted on the wall. No matter which Neo metal bracket you choose, each one come with concealed fixings for a refined finish. The Neo curtain pole rings come with nylon liners to make opening and closing your curtains so silent as possible, the liner also protects your pole from being scratched. 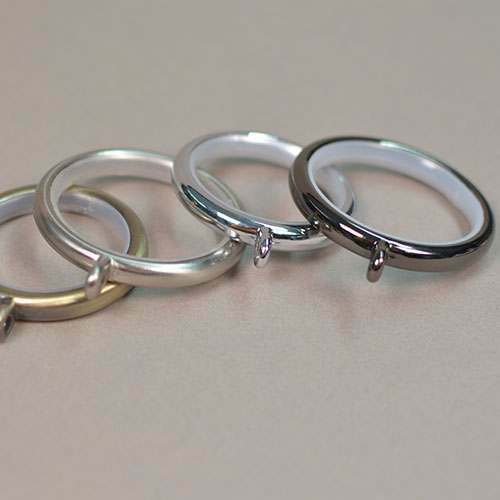 Neo curtain rings have been engineered with a fixed eye at the bottom of the ring so your curtain hooks stay in the rings. We have a great range of metal curtain pole colours and a real oak wooden curtain pole option.